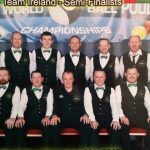 Hard luck to Gavin Donnelly and his Irish team mates that just fell short in the World Pool Mens semi final against England losing 11-8. In a group with 11 other countries, the top 2 teams go straight into the semis while 3rd 4th 5th and 6th playoff. Ireland showed their ability and finished 3rd guaranteeing them a playoff off spot. In the playoff they met a strong India team that had beaten them 11-10 in the group stages. However Ireland showed their class and experience and won on a scoreline of 11-9. 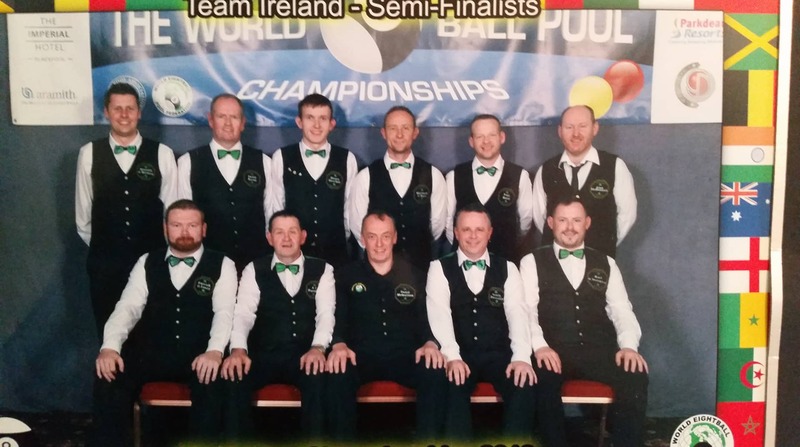 Into the semis and Ireland faced the pre tournament favourites England. Ireland made the better start and raced into a 2-1 lead. However England found their rhythm and raced into a 10-4 lead, only needing one more to win. With the ‘never die attitude’ of the irish, they fought back winning 2 more frames to bring it 10-6 and Donnelly made an excellent clearance under pressure to bring it to 10-7. This would have been the best comeback ever but unfortunately England won out on a scoreline 11-8. A huge well done to Gavin and the lads on their performance.